The Maltese archipelago lies virtually at the centre of the Mediterranean, 93 km south of Sicily and 288 km north of Africa. The archipelago consists of three islands: Malta, Gozo and Comino. In 2014, the population of Malta was estimated to be 445,000 inhabitants, occupying an area of 316 square kilometers. Malta is renowned for sunny weather, attractive beaches, a thriving nightlife and 7,000 years of intriguing history, medieval towers, wayside chapels and the oldest known human structures in the world. Now in 2019, it is possible to apply for High Net Worth Immigration to Malta (Malta Citizenship and EU Passport), which allows the applicant and his family to live, work, and study on the incredible island of Malta through a fast Malta property investment and financial contribution! Why apply for Citizenship by Investment, in Malta? 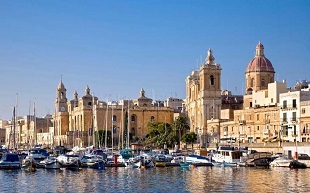 EU Country - Since 2004, Malta has been a member of the European Union (EU), and is a highly respected country. 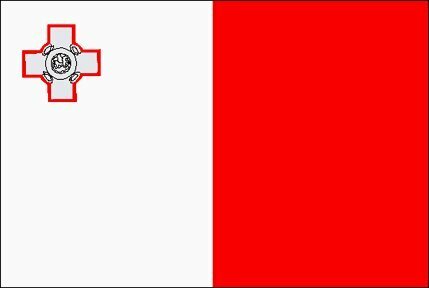 Citizenship of Malta offers the right to live, work and study in any of the 28 EU countries and Switzerland. Also, you can benefit from Free movement of People, Goods, Services and Capital, within the EU. Schengen Area - Malta has been a member of the Schengen Area of Europe since 2007. This allows a Maltese citizen to travel to 26 European countries without going through any border control. Visa FREE Travel - Travel visa-free to 168 countries, including the EU, US, UK and Canada. Location - Malta is an attractive place to live or to own a second home and is strategically located with excellent air links. Politics and Economy - Stable political climate, bi-partisan political scene, growing economy, and has some of the soundest banks in the world. According to the country's National Statistics Office, the Malta economy expanded by 4% in the fourth quarter of 2014 compared to Q4 2013, making it one of the top economies in the entire EU during this period. Economists are currently predicting 2017 GDP growth of 3.4%. Banks - Unlike many neighboring EU countries, Malta has an excellent credit rating (BBB+) and their government bonds are in high demand. The country has also never imposed a tax on deposits in Maltese banks, dissimilar to nearby Cyprus who imposed a one-time tax levy in 2013 which included offshore bank accounts. Malta Individual Investor Programme (IIP) - IIP program commenced in 2014, and is the first investment citizenship program of its type to be recognized by the European Commission, and the executive body of the European Union has formally acknowledged the legality of the program. IIP Program Quota - The Individual Investor Programme Malta is strictly capped at 1800 applicants, making it the most exclusive citizenship scheme available. IIP Application Process - application process is smooth and efficient. The government of Malta is committed to the highest standard of due diligence and vetting of investor applicants ensuring only persons of impeccable standing and good reputation will be admitted. No Tax consequences of Residence - if an individual moves their primary residence to Malta, they can retain the status of a "non-domiciled" person and therefore have an extremely advantageous tax exposure. Candidates that become a resident of Malta but are not domiciled in the country are only required to pay tax on any income they earn or receive in the country. Benefits of Tax System - Malta has no municipal taxes, no estate duty, no death or inheritance taxes, and no wealth or net worth taxes. 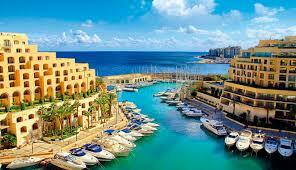 Malta also has double taxation treaties with approximately 60 countries around the world. The corporate tax rate in Malta is 35%, but special tax concessions apply to non-resident or non-domiciled company owners. Dual Citizenship - Individuals that obtain a second citizenship by investment are not required by Maltese law to renounce their existing citizenship. Children Inherit EU Citizenship - Any child born to a parent who is a Maltese citizen will also be a citizen of Malta. This means children born to men or women who obtained Maltese nationality via the Individual Investor Program will be full European citizens even if their place of birth is not in Europe. Citizenship Within 1 Year - The minimum amount of time needed to gain Europe citizenship by investment is 12 months. If you have already met the Malta residency requirement of the Individual Investor Program, you can secure citizenship in Malta in just 6 months. No Citizenship or Language Test - There are no citizenship tests included in the Malta investment program, and applicants are not required to know Maltese or even English to be accepted into the financial citizenship program. 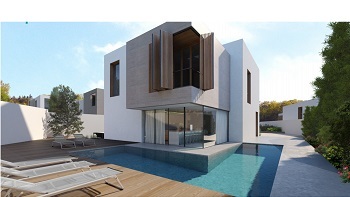 What is the Property investment amount for the Malta Citizenship by Investment Programme? Buying a Property in Malta for at least â‚¬350,000 and maintaining ownership for 5+ years. Leasing a Property in Malta for five years or more with a minimum annual rent of â‚¬16,000. Residence Requirement - After purchasing real estate or entering into a property lease in Malta, investor citizenship candidates are issued a Malta identity document called an eResidence card. This signifies the commencement of their residency in Malta and also demonstrates the candidate's genuine link with the country. 12 months after an applicant has established residency in Malta, applicants who have maintained residence in the country will be granted citizenship. You do not need to spend all 365 days in Malta before citizenship is granted, Maltese law defines residence as "an intention to reside in Malta for any fiscal year, usually evidenced by a stay of a minimum of 183 days or by the purchase/rental of property together with a visit to Malta." 3. Bonds Investment - Applicants must make an investment of 150,000 Euro worth of Government approved financial instruments to be held for at least five years. The securities may also be liquidated after a five year holding period.